Attribution modelling is the process of understanding and assigning credit to the marketing channels which eventually lead to conversions. The objective of attribution modelling is to understand the buying behaviour of your website visitors and to determine the most effective marketing channels for investment. This book has been written to help you implement attribution modelling in your organization. It will teach you to leverage the knowledge of attribution modelling while allocating your marketing budget and help you to understand your user’s buying behaviour. In this book there is a strong focus on using Google Analytics and other Google tools and technologies, such as Google AdWords. 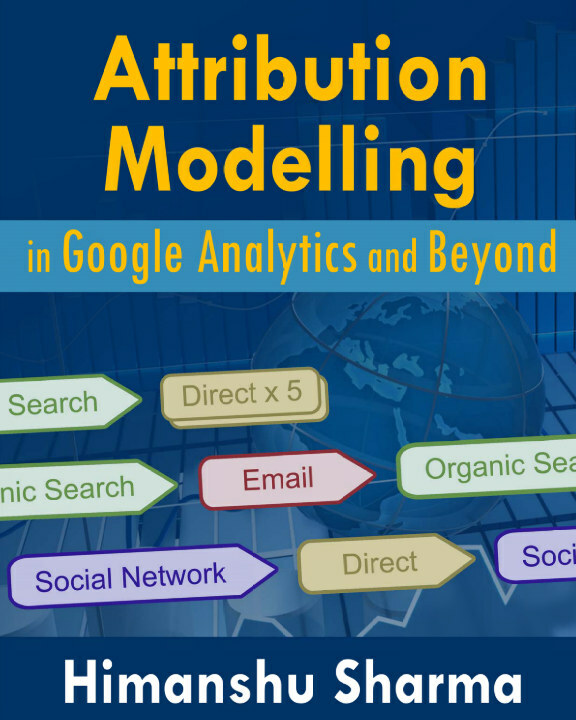 I have explained various attribution models mainly in the context of Google Analytics. What is not included in this book? This book is not about traditional marketing mix modelling (MMM) or understanding and finding the optimal mix of the 4Ps of marketing (product, price, place and promotion). There are no chapters on regression analysis and predictive modelling. Consequently, there is little to no use of statistics in this book. This book is not about getting started with Google Analytics or how to master Google Analytics. What do you need to know in advance in order to benefit from this book? In order to get the maximum benefit from this book, you will need a working knowledge of Google Analytics and e-commerce. No knowledge of statistics or traditional marketing mix modelling is required. Any person who wants to improve the online performance of their business and marketing campaigns should read this book. Online marketers, web analysts and data scientists will benefit the most from this book. If you have a strong background in traditional marketing mix modelling (MMM) you will benefit tremendously from this book because it will enable you to integrate attribution modelling data with your MMM data.